I had always wanted to come to the Galway but decided to do my undergrad in Belfast. When I made up my mind to do a masters, Galway was the only place on which my sights were set. As soon as I arrived, I knew that I was going to enjoy living in Galway. I loved it so much I didn't go home (Co Down ) once during my first term. That was nearly four months (my parents were delighted with that ). People make places and Galway has such a mix, it is hard for people not fit in due to the fact the people embrace everyone. The nightlife, the pubs, clubs, and grubs are probably the best in the whole country. I almost find it difficult to go on holiday during the summer because Galway is arguably one of the most picturesque spots in Ireland when the sun is shining. I find nothing more enjoyable than sitting outside one of the many fine establishments in the town with a cool one watching the world go by on a lazy hot summer's day. To sum up how I feel about the place is that Galway has become home for me; so much so that saying "I'm going home, (Co Down )", almost feels wrong to me. My intention when I came here first was to stay a year - I am now into my fourth. The only slight detail I would change is to have my labrador, Marcus, with me from home. But I guess we can't have everything in life. 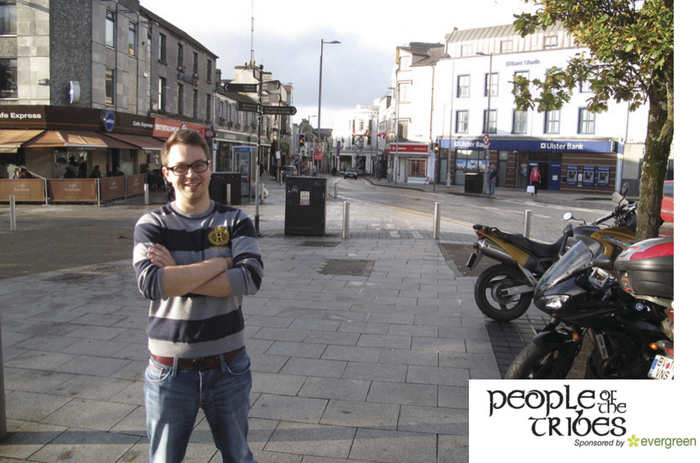 People of the Tribes : Meet Aonghus O'Flaherty. People of the Tribes : Meet Alexandra. People of the Tribes : Meet Lisa. People of the Tribes : Meet Owen. People of the Tribes: Meet Stefan. Page generated in 0.0772 seconds.